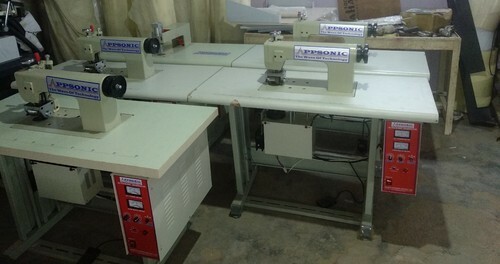 Leading Manufacturer of ultrasonic sewing & lace cutting machine from New Delhi. We are offering Ultrasonic Sewing Machine to our clients. Intellectual Ultrasonic Generator, Single/Double Motor Speed, Adjustment System, Bottom Mould Fixed Suspension Structure, Manual/Pneumatic Roller Lifting System, Motor Speed Adjustment, System for Rotating Horn, Trimming, Sealing, Hole Making, Slitting, Forming. Looking for “Ultrasonic Sewing , Lace Cutting Machine”?